Joanne Mattera Art Blog: What Are You Doing About Prices? “What's everybody doing about pricing these days?" This artist continued, "I can't figure out if I need to adjust my prices before sending the work [to the dealer] or wait until after the work gets there to have that talk. I'm feeling very insecure about that at the moment." Welcome to the club. A dealer I work with asked me recently, “What are your other dealers doing about pricing?” This dealer had already discussed the topic with her/his colleagues and wanted to know how galleries in other parts of the country were handling the issue. Price is being discussed between artists, between dealers, and of course between artists and their dealers. Given the downturn, I think everyone’s willing to accommodate this way or that, up to a point. In Miami I marshalled my chutzpah and asked a dealer I don't know well, "Have you lowered your prices?" S/he said, "We'll negotiate a discount, but we're not posting lower prices. Because when the economy rebounds, we'd have to start all over at the lower price." But another, violating the prices-can-go-up-but-they-can't-go-down rule, said, "I'm at the point where I'm going to call [collectors] and say, 'Make me an offer.' I need to pay my rent." Usually I bump up my prices at the start of each year, and I accept that a 10 percent “courtesy” will be given to collectors who request it if they’re purchasing my small paintings in multiple, or if they’re acquiring a larger work. I didn’t raise prices for 2009. And I’ve given my dealers the leeway they need with regard to discounts to complete a sale. We’re not giving it away, mind you, but we want my collectors to continue to acquire work. It's good business all around. Galleries need to stay in business. Me, too. So let me ask the artists, dealers and collectors who are reading this post: What are you doing about pricing these days? I haven't raised my prices in 2 years, so a price increase is really overdue. But I find myself dithering over it. Maybe a 5% raise instead of 10? I had a rather large price increase last year, 20%, in order to bring my work closer to the other art that I show with as well as to slow things down-everything I was painting was selling there for awhile. My prices are still very reasonable though, but because of of the economy I am not raising them this year and Joanne, I am pretty liberal okaying the discounts, although there haven't really been any requests for more than 10% anyway. I haven't raised prices for 2009, and don't usually get asked to lower prices, other than for the 10% discount standard in most agreements. In the studio, I've been working on smaller size pieces which was a creative decision I made last summer, and not influenced by economics. At the moment, I'm feeling like it was a good decision though, because the price points will be below my larger pieces. In our gallery, we strongly encouraged our artists not to lower their prices. I'm am fully of the belief that it is much easier to drop prices than get them back to where they were originally. If you lower prices, collectors will look for you to do it again anytime the market drips, even a little. I fully believe it is easier to offer a one-time larger discount than it is to lower prices across the board. I would offer a 20% discount if that's what it took, but make it clear to the buyer that this is a special deal for them being great collectors and a one-time offer. Much easier to rebound from. I've also recommended that my artists work smaller and in less expensive mediums, ONLY IF THEY WERE ALREADY CREATING IN SMALLER SIZES AND LESS EXPENSIVE MEDIUMS ALREADY. I would never ask an artist to create in a different way, but I would encourage them to create more of the less expensive pieces during this time. Truth is, there are less people willing to buy a $5,000 piece right now, but you can still sell a $500 piece. It allows collectors to keep collecting without breaking the bank. I love the blog by the way! good question, joanne. i've doubled my prices in the last five years but i am not expecting to raise them this year. I'm not carried by any gallery so I have complete freedom to set my prices as I please. Plus, I don't make my living from my art - retired from another profession - so, while that doesn't give me any cachet in the art world, it does give me some degree of economic security. But only some as I'm not rich. In any case, I decided to price my small pieces very very cheaply. In some ways it galls me to sell them so cheap but as I don't have access to a wealthy clientele, it makes sense to charge what the market can bear. My strategy paid off; during SF's Open Studio last fall, many of my studio mates sold nothing. But I sold a heck of a lot, almost more than anybody else. Selling small pieces for low prices and being willing to negotiate meant that I made my expenses and then some. Given our economic climate, I think that's a victory. Sometimes I think that it's just better to be realistic. "I will give you four for the price of three"
So that's, what, 25% off? Eek. I wonder if the sale was made. What happens if collectors get too used to the big discounts? Are there any collectors out there reading this? Are you acquiring work these days? Are you getting the big discounts? New trend from my new collectors is small commissioned work in new materials. The only difference for me is figuring out a price structure for commissioned work, i.e. my gallery work is usually priced according to size regardless of time, whereas I tend to price commissioned work based on time, regardless of size. I dropped my prices mid summer last summer from 7$ per square inch (sliding scale but consistent as the work gets bigger) to 5.5$ sq. in. That was well before the recession emerged in November. I had my own econ. reasons - a now out-of-business representing gallery had me up a little to match the other similar painters there. My demand had climbed steadily, then dropped somewhat. But, my work gets better, with more critical recognition! Anyway, when I re-arranged my prices, my sales jumped. Things feel more right. I am friends with my collectors, and if a crisis developed, I was willing to give them (first quality) art as a gift. I never told anyone, because I didn't want other artists harassing me. I was less worried about collectors! I have always offered 15% to collectors - but I am an old retail sales guy. It doesn't get used that often. I agree somewhat with the use less exp. materials, and work to your smaller body of art. I agree. If it truly is another great depression (and I don't think it is) I would imagine that artists will be doing as they did in the thirties - extreme measures to keep afloat. BTW, those guys' artworks are very well priced, now. My inclination so far is to not lower the prices on my work. The cost of producing that work, and the cost of maintaining an art studio, has not decreased for me. What I have done, as other artists here have stated, is to emphasize that I will give a collector a discount both through the gallery and through the studio. And, I am willing to work with my dealers in any way I can. And on another note: Joanne, I am so sorry to have missed the opening at Arden. The blizzard hit Vermont that day/evening. I was so disappointed. I very much looked forward to the opportunity to see you and your work in person... The paintings looked absolutely stunning. Congratulations. I recently brought new work in a larger size than I usually work in to the gallery that represents me. I was feeling that given the current climate, I needed to be a little conservative with the price. The gallery owner, however, felt that I might have under-priced the work and suggested a slightly higher price with the rationale that a discount could always be offered. She also suggested that we slightly raise the prices of work that she already had in her inventory. I admit that I was a little apprehensive with this, but within a week, a piece had sold. Go figure. 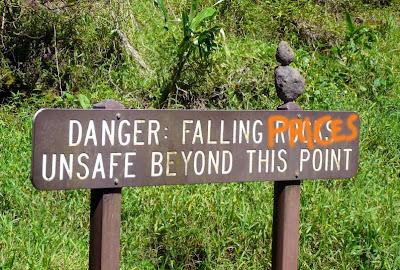 In the past, I've raised my prices every 2 years. I'm overdue for an increase, but am putting it on hold for a while. To get through this economic downturn, I'm focusing on commission jobs. It's not my favorite way to work, but it pays. I price my work by size. So I've been creating some smaller pieces, which works well with my focus anyway. I was always way undervalued with a ghetto mentality and finally said to hell with it. And so even though we had this terrible economic downturn, I raised nearly everything in December. And sold a big piece too at the new big price, so I don't think it was a mistake. Thank you all for your comments and this great blog. Although I have been making my living as an artist for years I never raised my prices too high. During the summer I had a breakthrough in my work that has continued to increase demand. At the start of the year I increased my prices and have been concentrating on bigger work! For years I have sold little paintings but I am finding less of a demand. If people have money they want the special important work for their house not the small easy to say no to piece. Raising your price can help cushion the sudden ability of people to ask for a discount. Keep it unique, special and stay excited about your work that is my motto for this time. Haven't raised prices for 2009 and haven't lowered...yet. I'll do what I have to to stay in business and weather the storm. Haven't had any deep discount requests from clients. Have noticed, however, that many are making incremental payments and many are paying in cash. I have not raise my prices in two years, with the exception of one artist's work, which was priced low on entry to the marketplace. I do drop my price on multiple sales, or one large piece over $1200, but the difference in this gallery is, that drop comes from my 50% profit, not the artist's. I have no intention of dropping posted prices at any point, and feel it is very important to hold the line. In the world of top echelon art, there is certainly room to negotiate, but where the real people live, we are cut to the bone to begin with. Regarding the $5.50 a square inch price...That's about $2600 on a 48 x 48 painting. When the dealer takes 50% that leaves $1300.. This sounds like a "fire sale" I'd like to be selling 48 x48 paintings for at least $4000. Am I out of line? $4000 is a very modest price for a 48 x 48 painting. Double or triple that would not be out of line, but there are variables: are you emerging or have you been at it for a while? Are you selling through a gallery or on your own? Do you have a sales history? Have you been increasing your prices? Do you have a local or regional career? Are you in a major metropolitan city or someplace smaller? What prices do you see in your local galleries for work that size by artists who are at your career level? That should certainly give you some pricing perspective. As for pricing by the square inch, that might work for mouse carpets, but for paintings it's not a good system. It's certainly reasonable to charge more for a larger painting, less for a smaller, but charging by the square inch is splitting hairs. I usually raise mine each year too, but in April (which is the end of our financial year here in the UK). This year will be the same. I have to keep up with inflation for my earnings, which are what my prices are about. My supplies costs are going up as is my rent and other living and working costs. While I'm doing my best to counter it by finding better deals on the supply side, from a practical point of view I couldn't reduce my prices. On an integrity level I have to think long term. I've worked so hard to establish slowly increasing value and am not willing to compromise that. There will be dips and peaks in an art lifetime, this is one of the dips and I'll find a way through it. Plus I don't want to betray the people who've had faith in my work so far. Strangely I've found that increasing my prices in the past 6 months has improved sales. More buyers seem to want larger works so I'm focusing on those. My galleries all have permission for certain bit of wiggle room for negotiation, mainly for large or multiple purchases. This has been a tough topic with my dealer/gallery and the artists represented there. We have all worked toward keeping an annual (ever so slight) increase in prices, but this year I know that my own work is not going to be priced higher. I've always had a standing 10-15% "bargaining window" with the gallery to help negotiate the sale, and a 20% discount on multiple piece sales. We will be keeping that same model in place for 2009.